Dr. High’s laboratory is focused on translational research of mechanisms and clinical relevance of immune senescence, waning of immune function with age. The laboratory utilizes studies in both animal models (mice and nonhuman primates) as well as human studies centering primarily on strategies to enhance vaccine responses in older adults. His research work has been published in New England Journal of Medicine, Blood, Aging Cell, Clinical Infectious Diseases and Journal of the American Geriatrics Society. Dr. High is actively engaged in clinical care of patients in both Internal Medicine (IM) and Infectious Diseases (ID). He is Chief of the Infectious Diseases Section and has been recognized annually for his clinical excellence by Best Doctors in North Carolina® since 2002, Best Doctors in America® since 2007, and Top Doctors® since 2010. Dr. High is a national leader integrating aging and Geriatrics into the specialties of IM. 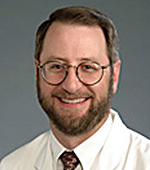 He is Principal Investigator on two projects funded by the John A. Hartford Foundation and Atlantic Philanthropies, Inc. that promote Geriatrics research and clinical care; integrating research between the National Institute on Aging (NIA) and other NIH institutes; and developing geriatric interest groups within subspecialty societies of IM. As part of this project he helped initiate two junior faculty development programs: the T. Franklin Williams Scholars program and the GEMSSTAR program, a public/private partnership with the NIA supporting junior faculty development. Dr. High is also PI for the national Coordinating Center Core for the Claude D. Pepper Older Americans Independence Centers, and serves on the NIA Council. Dr. High served as a member of the Board of Directors of the American Board of Internal Medicine (ABIM) from 2006-2010 and was a member of several ABIM IM Test-Writing Committees. He also served as Chair of the Education Committee of the Infectious Diseases Society of America from 2008-2010, a member of the Research Committee of the American Geriatrics Society, and Chair of the Geriatrics Committee of the Association of Specialty Professors. He has been on the editorial boards of Clinical Infectious Diseases and Journal of the American Geriatrics Society, and is an Associate Editor of Hazzard’s Geriatric Medicine and Gerontology textbook (6th & 7th editions). Dr. High received the 2009 Eric G. Neilson Distinguished Professor Award from the Association of Specialty Professors, and received the 2012 Laureate Award from the NC American College of Physicians (ACP) Chapter. He has been recognized with multiple teaching honors by students/housestaff at Wake Forest. Dr. High received his Bachelor of Science degree from Bucknell University and his MD degree from University of Virginia. He also holds an MS degree from Wake Forest University.